Here it comes; another ‘anabolic’ (or anti-catabolic) substance extracted from food. It will be talked about, written about, promoted, and hyped out the wazoo. It will produce extrapolation between rodent studies and potential human results, exploited to maximum capacity. It’ll be plugged as the possible saving grace of every frustrated gym rat, maybe even every unwittingly atrophied couch potato. 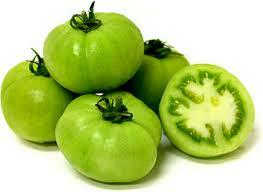 Fresh green tomatoes have about .5 grams of tomatidine per kg. of weight. Should we just skip the wait – buy some organic green tomatoes from the local farmer’s market – and throw them in a food processor? Voila! A small molecule in tomatoes was identified with this filtering method. Once found, test-tube studies were done to apply it to cultured skeletal myotubes of both mice and humans. These in-vitro applications of tomatidine resulted in an increased activity of mTORC1 signaling and anabolism. This led to anabolic effects, such as an accumulation of protein, increased mitochondria development, and greater muscle cell growth. The test-tube experiment was followed by trials in mice to determine any effects on intact muscle. These showed positive results as well. In an experiment with young mice, there was an overall muscle mass increase of 13.7%, with boosts of muscle size in both fast-twitch fibers and slow-twitch fibers. A 9-week study was then conducted with middle-aged mice in which .05 grams of tomatidine per day was added to the animal’s feed. This resulted in a 14.2% overall increase in muscle mass along with greater hypertrophy. The human equivalent of this dosage is about 500 mg per day. Of course, human trials for safety and efficacy have not been reported on as of this writing. Though you might sense otherwise, I’m actually an optimist about this stuff. I think tomatidine might be anabolic (or anti-catabolic). It’s just that my optimism is curbed by many years of experience. I’ve been bodybuilding naturally since the late 1980s. I’ve seen more of these potential supplements get hyped and die than I care to count. Many substances appearing to make rodents into ‘super-mice’ fall flat in human trials. But there’s more to it than that. This is why I’ve put the word “works” in quotation marks in the article title. What does it mean for a muscle building supplement to “work?” If it shows a 15 – 20% improvement in anabolism, does it work? Of course it does. Even a 5% improvement in muscle protein synthesis would be amazing, and could produce incredible results. But notice I underlined the word could. It depends so much on other factors. For example, if a person over-trains, the negative effect could easily cancel out a 5% – 20% increase of anabolism derived from a natural supplement. To illustrate this point, I offer steroid users. Many people use anabolic steroids and get terrible results. Although some of that can be attributed to misuse of the drugs, much of it is due to arbitrary training. In other words, overtraining, undertraining, or just plain lousy training cancels out the effects of even powerfully anabolic drugs. THAT… is how pivotal a training routine and recuperation schedule is for long-term results. Put in perspective, there are a lot of disappointing results from steroid use, and my bet is that steroids are MUCH more anabolic than a molecule from green tomatoes will ever be. So whether something “works” depends so much on how we work it.